Dr. Nguyen is well qualified in all aspects of general dentistry, cosmetic dentistry and smile evaluation. The entire staff is committed to providing quality dental care to their patients. In addition to the latest techniques and procedures in dentistry, our office provides language assistance for our patients in Japanese and Vietnamese. 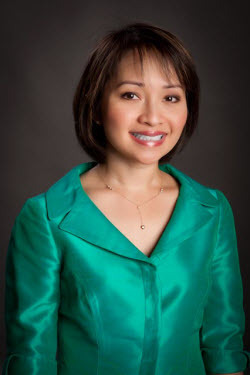 Dr. Ann Nguyen is a graduate of USC Dental School, where she also served as an Assistant Professor in Clinical Dentistry. Dr. Nguyen came to the practice with more than 15 years of dental experience. Many patients know her from her previous practice in Newport Beach, California. In addtion to general and cosmetic dentistry, Dr. Nguyen also treats Sleep Apnea.